The Wong Kar Wai produced, Tony Leung Chiu Wai starred film FERRYMAN (BAN DOH YUN) is still in production. 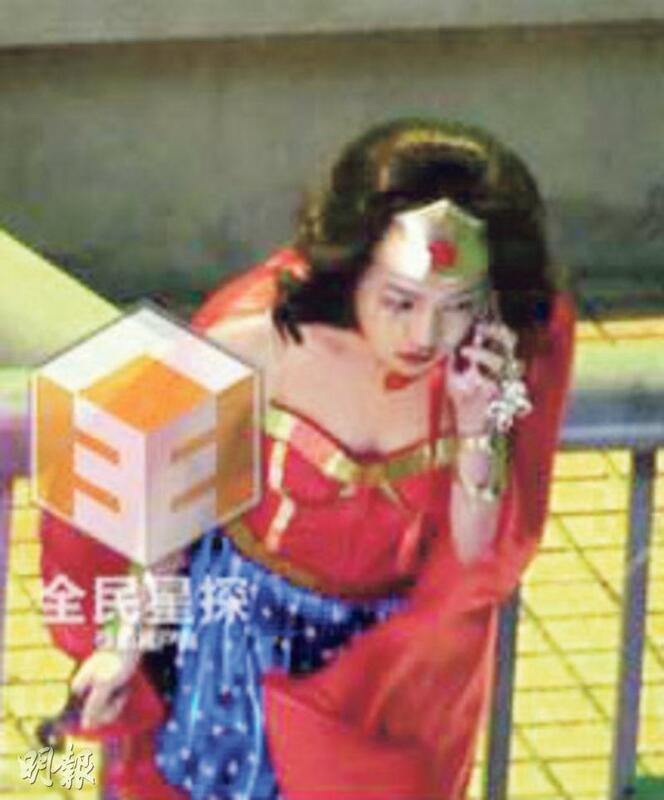 According to the Mainland media photos, goddess Michelle Chen also guest starred. She was very happy to be able to work with her idol Wai Jai and did not skim on her effort. In the film she had to dress like Wonder Woman. Although in the cold she had a double to test her mark, she still paid close attention. When she was in the shoot, wind blew up her cape but she had no complaint. 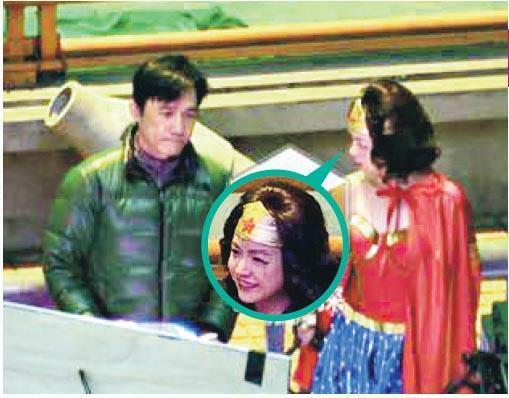 During her break she even gave a handbag to director Wong Kar Wai and chatted with him. Wong Kar Wai gladly accepted it.